Teed up jokes aside, CBD may be the answer you’re looking for when seeking alternatives to NSAIDs and opiods to manage pain. As you’ll read in the press release below, Floyd swears by it. 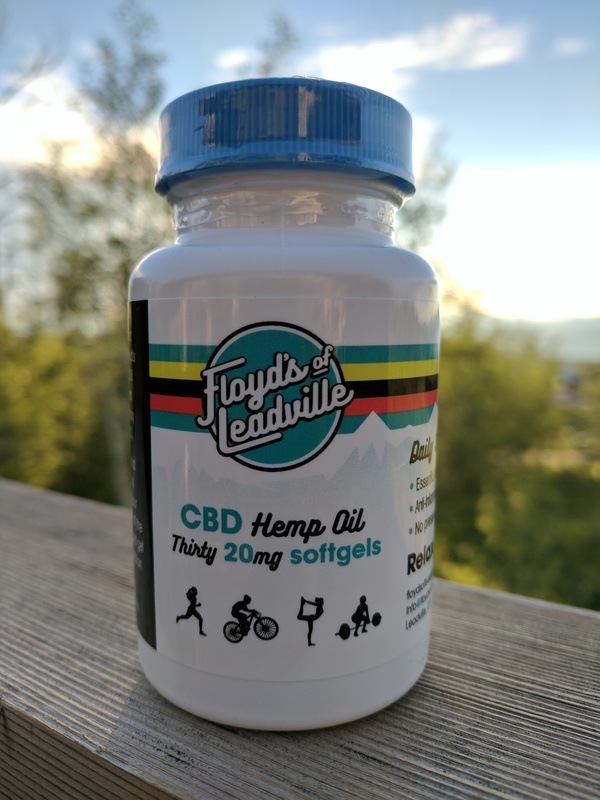 LEADVILLE, COLORADO – floydsofleadville.com – Floyd’s of Leadville, a Colorado Based maker of CBD pain management supplements introduces CBD Hemp Oil soft-gel capsules. As a former Tour de France champion, Floyd Landis is an expert in pain management. Years of racing at the sport’s highest level left Landis with chronic pain and serious motivation to find a non-addictive, natural recovery solution. After discovering pain relief through natural sources, Landis launched Floyd’s of Leadville CBD Hemp Oil, an effective soft-gel capsule that gets rid of pain so you can get back into the race. Floyd’s of Leadville CBD Hemp Oil enters the all natural pain and anti-inflammatory relief industry specializing in pesticide free all-natural hemp. Know for its relaxing effects, hemp oil also contains essential fatty acids that offer additional health benefits. With all these positive effects in one small soft-gel capsule, Floyd’s CBD Hemp Oil is the perfect remedy for any athlete’s aches and pains. CBD Hemp Oil soft-gel capsules are now shipping internationally and available at select bicycle dealers and specialty stores. What Makes The CBD Hemp Oil Different? Natural: No preservatives or additives in the capsules, only natural CBD hemp oil. 100% Hemp based and non-psychoactive. Effective: Utilizes the best anti-inflammatory formulation. Healthful: Includes essential fatty acids such as Omega -3, 6, and GLA.